Home » News » GRIFTER: Self Titled Debut Album Now Officially On Sale! GRIFTER: Self Titled Debut Album Now Officially On Sale! After months of hitting various forums and bigging it up, the Grifter debut Selt Titled album officially hit the streets yesterday on Ripple Music. The album has been picking up some insane reviews worldwide and people seem to be getting Grifter’s brand of High Energy, Down and Dirty Rock and Roll. Distribution in the UK is via Code 7/Plastic Head, in Europe via Clear Spot and in America via Ripple Music. Order the album from all good record stores…and some crap ones or from any number of online outlets such as Amazon, CD Baby, HMV and All That is Heavy. The album is also available in digital format from various sources such as eMusic, Rhapsody…etc. Alternatively you can get hold of the album directly from the band on the road at gigs or from the band’s own secure webstore. 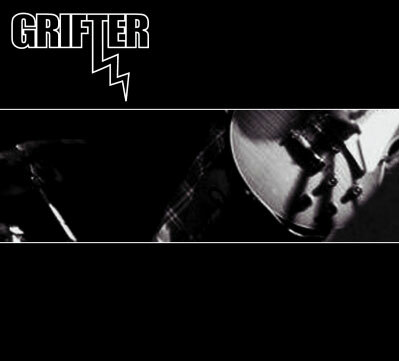 Keep up to date on all Grifter related activity and gigs buy “liking” the band’s page at www.facebook.com/grifterrock. You can also read Mark’s review of said album HERE.